Squash is also known in the US as: “Summer Squash” and in the UK as “Marrow”. Squash is a good source of vitamins B2, B6, B9 and C and are rich in potassium, necessary for cell function and nerve transmission. They also contain vitamins A and K. Squash is recommended in a healthy diet as it is low low in calories and provides dietary fiber. 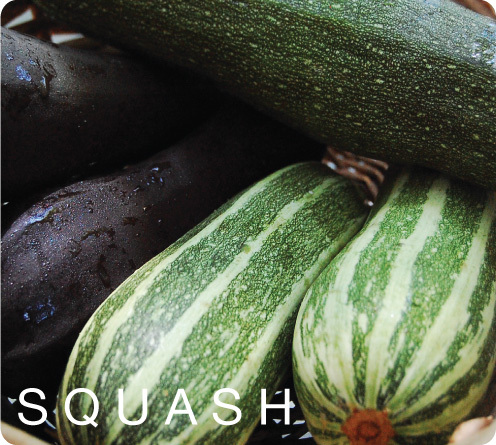 Squash may help reduce the risk cancer, diabetes, hypertension and high blood cholesterol.